One might be forgiven for not recognising the name #WilliamAndrew(Willy)Pogany (1882-1955) but once one sees his artwork he becomes very memorable. 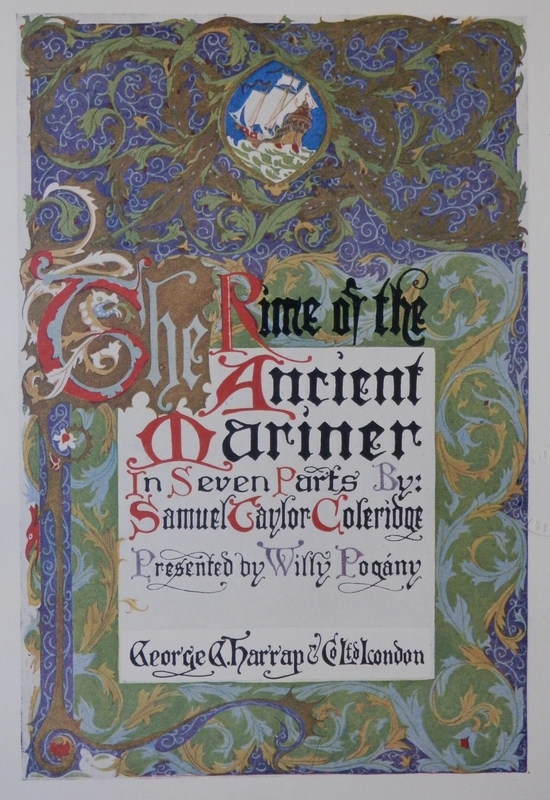 Earlier this week, I acquired a copy of #TheRimeOfTheAncientMariner by #SamuelTaylorColeridge. Pogany was born Vilmos Andreas Pogany in Hungary and was a prolific illustrator of children’s books. He and is family moved to New York in 1914 where he resided until is death. Pogany is known for his pen and ink drawings of myths and fables. 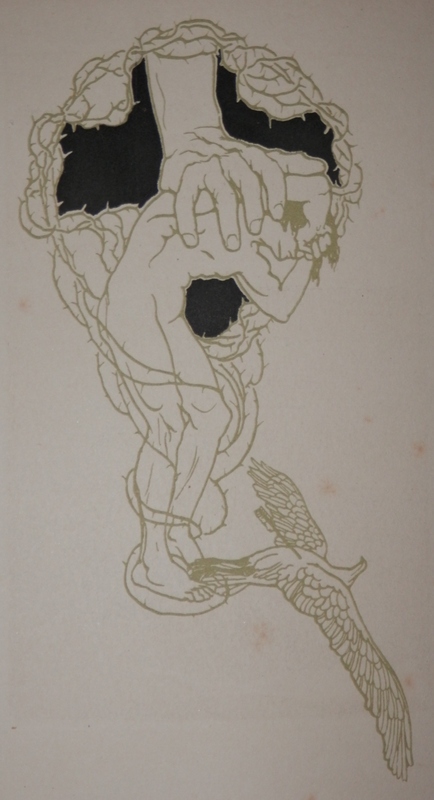 Much of Pogany’s work could be labelled Art Nouveau. His artistic style draws heavily on fairy-tales. Often dragons, sprites, nymphs, pixies, mermaids and mythical animals featured heavily in is depictions. Exactness of botanical details was also important to Pogany. Pogany loved to use subtle and warm pastels, watercolours, oils, but especially pen and ink. His work is detailed and confident,and his pen and ink pieces portray the true depth of his talent. The Ancient Mariner is recognised as his masterpiece. 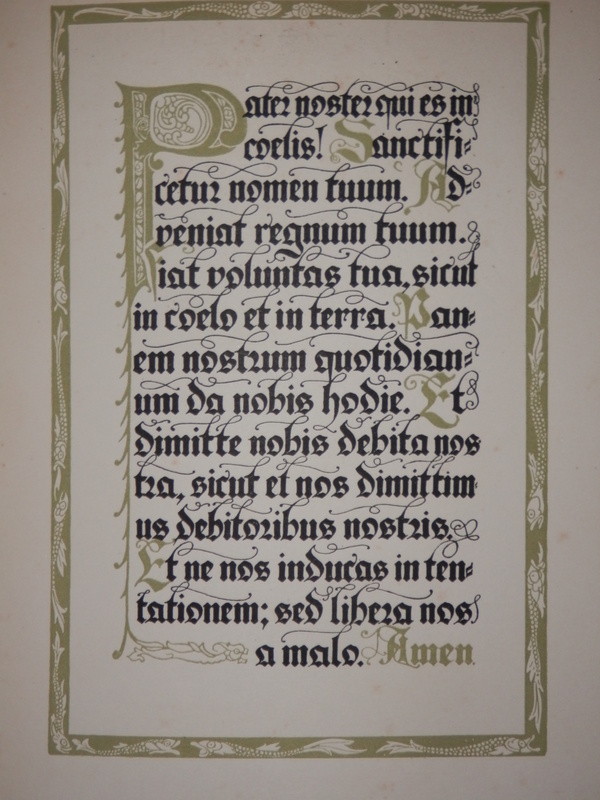 Each page has at least two colours, sometimes with gilt and intricate borders. Initial letters are elaborate at the beginning of every line. Along with the illuminated title page, 20 colour plates, second colour through black-and-white plates, flowing calligraphic text, and the pen-and-ink drawings throughout the pages make this a classic piece among Pogany’s works. A little twist in regards to my book. 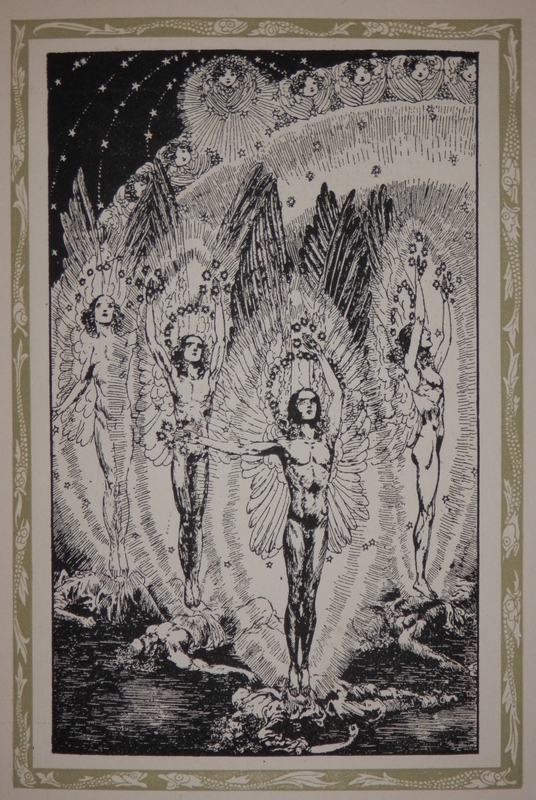 The original run in 1910 was comprised of some 525 copies which were numbered and signed by Pogany himself. 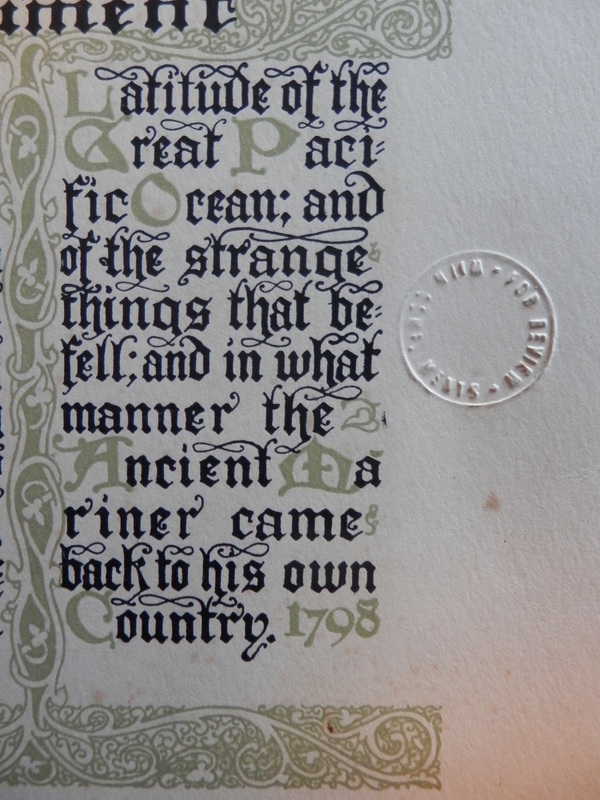 In my book on consecutive pages there is an embossed stamp which reads ‘For Review With Compliments’. This, now-a-days, means that this book would have been published prior to the first run for critics, reviewers (ARC – advanced reader copies). These pre-run books were generally more expensive to print due to the small number printed. The book might also not be the finished publication – due to changes suggested by those readers and critics. This entry was posted in Modern prints and tagged mariner, maritime, ocean, Samuel Taylor Coleridge, sea, seaman, Willy Pogany. Bookmark the permalink.